Why did Goldstone “reconsider” his scathing report against Israel? 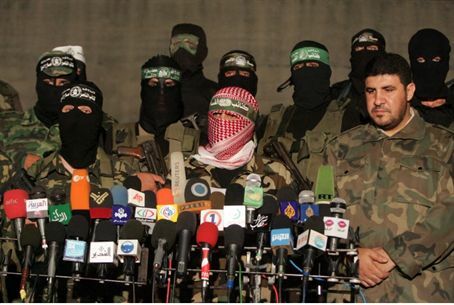 Hamas says 'Zioinist threats', his friends say guilt. None of the above? Hamas says death threats from the “Zionist lobby” forced Judge Richard Goldstone to write a “reconsideration’ of his 2009 U.N. Human Rights Council report against Israel; a friend of Goldstone says, “Jewish reaction influenced him." “The Zionist lobby’s death threats” and Israel-American pressure forced Goldstone to recant, Hamas stated Sunday. There is not evidence of either nor did Goldstone hint at the possibility in his article. The rival Fatah movement, headed by Palestinian Authority Chairman Mahmoud Abbas, also condemned Goldstone's reversal, singling out Hamas for not investigating war crimes while vindicating Israel for alleged intentional attacks on civilians during the Operation Cast Lead counterterrorist campaign two years ago. Former Foreign Ministry director-general Alon Liel, speaking on Channel 10 Sunday, said he is a friend of Goldstone and that the retired Jewish judge “couldn’t sleep at night" because of Jewish reaction to his scathing report against Israel. "The Jewish reaction definitely influenced him to write his op-ed in The Washington Post," Liel stated. "He added that his daughter Nicole's reaction also had an impact on him." After the report was published in 2009, Nicole, who lived in Israel for six months and now lives in Toronto, was preparing to welcome her parents for a visit for the Rosh HaShanah holiday. She told Army Radio at the time that her father asked her, “Are you sure we can still come?" Nicole said she was not angry at her father. “I love him and respect him. He is a Zionist. My dad loves Israel and it wasn't easy for him to see and hear what happened." "[Israel] is the most important thing in my life, my heart is there...." She said. "I love Israel more than my family and friends and anything else." However, no one really knows what made Goldstone write the retraction of his harsh, now proven to be innacurate by his own admission, report on Israel that caused damage of international scope and much anger in Israel.